Every year on the 50th day after Yom Kippur, Ethiopian Jews mark Sigd, a unique Ethiopian Jewish fast day, with prayers and Torah readings. 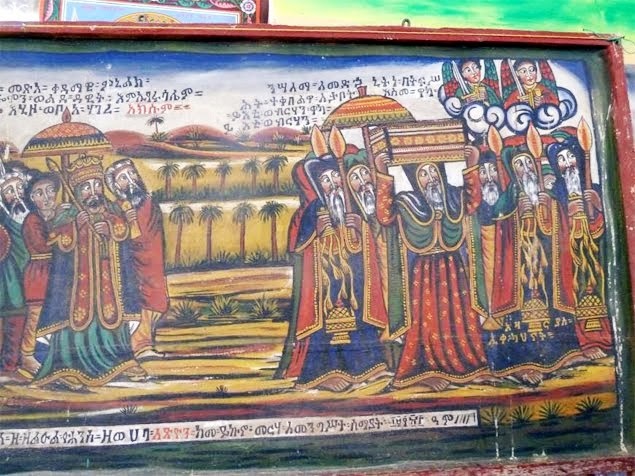 The holiday, which means “prostration” in Ethiopia’s Ge’ez language, marks the day when, according to the Ethiopian Jewish tradition, God first revealed himself to Moses. On Sigd, Ethiopian Jews symbolically re-accept the Torah. In Israel, where the majority of Ethiopian Jews have settled in the last three decades, the Ethiopian Jewish community has grown to more than 100,000. Sigd, which became an official holiday in Israel in 2008, was marked recently, and is growing in recognition. This year, the Israel Association for Ethiopian Jews offered classes that taught the traditional Sigd prayers. The classes took place at the Armon Hanatziv promenade — also known as the tayelet, or the Haas Promenade — where many Ethiopian Jews gather each year on the holiday, the walls of the Old City in the background. The Ethiopian Jew above prays on Sigd at the promenade. His remarks followed a recent announcement that Israel is increasing the monthly pace of bringing Ethiopia’s remaining Jews — members of the Falash Mura group, whose forebears converted to the country’s dominant Christian religion a century ago — to Israel. All Falash Mura whom Israel recognizes as Jews will, according to schedule, be in Israel by Rosh HaShanah next year.